Troy "Trombone Shorty" Andrews (trumpet, trombone, vocals); BK Jackson (tenor saxophone); Dan Oestrecher (baritone saxophone); Pete Murano (guitar); Mike Bass-Bailey (bass); Joey Peebles (drums); Jeremy Johnson (congas). 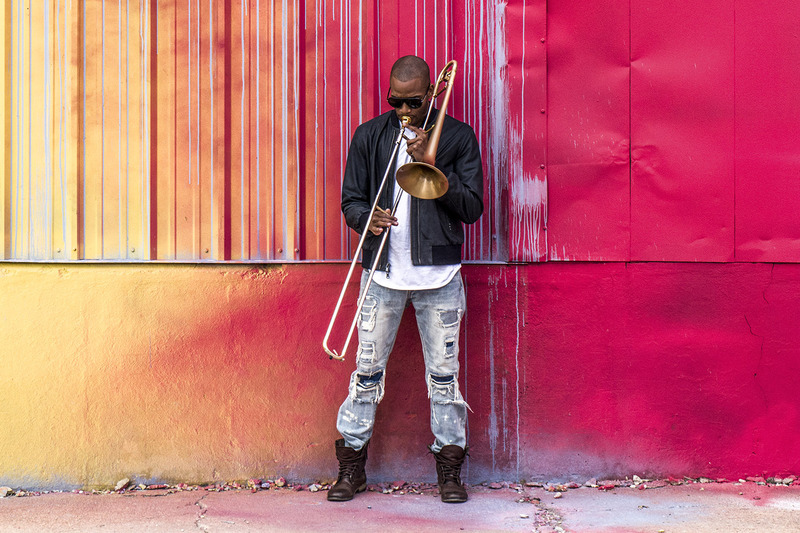 Troy Andrews, better known as Trombone Shorty, has been garnering fame on the live circuit since 2009. Born in New Orleans, he has a trombone style that is completely his own plus a feel for putting on a show and a drive to innovate – all of which keep him at the top of the jazz world. He was already leading his own group in the style of traditional New Orleans marching bands when he was just 8 years old. At age 17 (in 2003) he released a CD under his own name, and after leaving high school he immediately joined the horn section of pop star Lenny Kravitz's band. Andrews played himself in the acclaimed TV series Treme which is about the famous New Orleans music district of the same name. He has played at the White House with such greats as B.B. King, Jeff Beck and Mick Jagger and he played a major role on producer Marks Ronson's hit record Uptown Special. Andrews' new record Parking Lot Symphony has just been released on the jazz label Blue Note.